JAPANESE RESEARCHERS HAVE discovered a potential cure for some forms of infertility by using stem cells to create viable eggs in living mice, a study has found. While the method is far from being ready for possible human use, it did overcome a key challenge in reproductive medicine: how to construct viable eggs for women incapable of producing their own. The researchers at Kyoto University tinkered with a few genes in the stem cells and turned them into cells which were very similar to the primordial germ cells which generate sperm in men and oocytes – or eggs – in women. They then created a “reconstituted ovary” which they transplanted into living mice, where the cells matured into fully-grown oocytes. 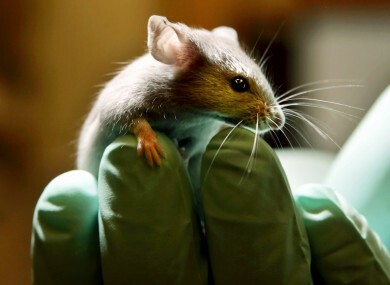 They extracted the matured oocytes, fertilized them in vitro, and then implanted them into foster mother mice. “Our system serves as a robust foundation to investigate and further reconstitute female germline development in vitro, not only in mice, but also in other mammals, including humans,” lead author Katsuhiko Hayashi wrote. The study was published in the journal Science today. Email “Potential infertility cure: stem cells create viable eggs in mice”. Feedback on “Potential infertility cure: stem cells create viable eggs in mice”.